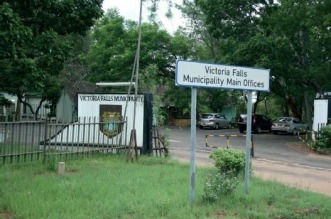 VICTORIA FALLS residents have resolved to protest against MDC Alliance leader Nelson Chamisa’s decision to fire the resort town’s mayor, Somvelo Dhlamini last week for refusing to step down and make way for the party’s preferred candidate Margaret Varley. The resolution was made by about 300 residents who gathered at Chinotimba Hall on Friday evening to discuss challenges of water issues and importation of labour. Residents had no kind words for the opposition. “For Chamisa to come here and meet the people was because of Dhlamini. Dhlamini had declined to be mayor, but residents pleaded with him to take it up because he is our son. He grew up here, been in that party for a long time and has never lost an election in his ward (9),” one resident said. Another resident, Khesiwe Moyo, accused Chamisa of imposing an “arrogant” person, who did not even speak their language. “We will not settle for what that party wants. How can we be led by an arrogant person (Varley) who does not speak any local language nor come to high-density suburbs? We will not rest until this matter is resolved and she will not chair any full council meeting. We are tired of people who do not value local emancipation,” she said. Residents accused the MDC Alliance councillors of taking people for granted since they never showed up for any meetings to discuss issues affecting residents in the resort town. “Residents’ associations must notify police and we will carry our banners from Mkhosana to Chinotimba and low-density suburbs, en-route to council chambers. We will rather be led by the commission. We will not tire until our demands are met,” another resident, at the meeting, said. Residents’ association chair Morgan Dube said they were going to act as instructed by residents and protests were likely to be held tomorrow or on Wednesday. In August, residents forced the nomination and election process to be run-off, after Varley stood uncontested for the mayoral post. During the second nomination, the two competed and Dhlamini scored eight votes, while Varley got three, but according to party officials, all that did not matter and Varley was going to stand. Dhlamini is accused of defying the party’s constitution.